This 5.5 x 8 inch journal is designed to remind you that your first priority each day is to be good to yourself. 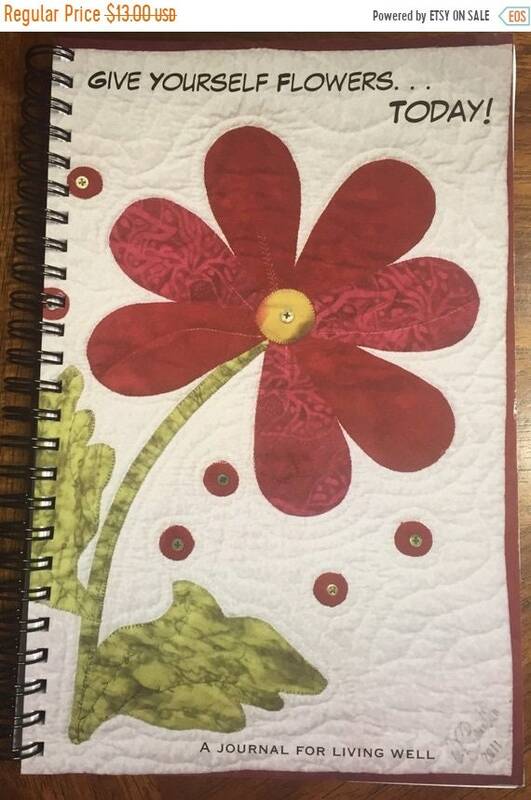 The inside journal pages are blank so that you can sketch, write, clip art or make lists. 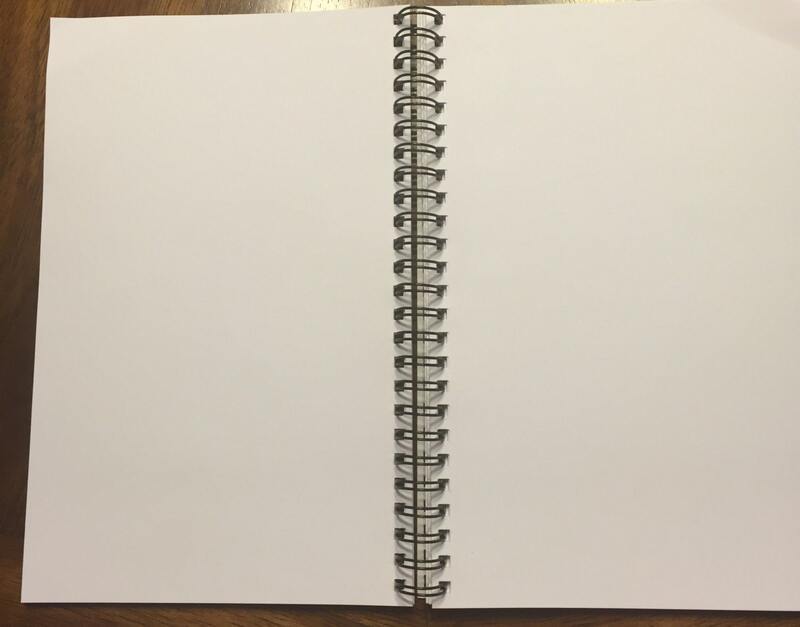 Use the pages to record your dreams, your accomplishments, your creative inspirations and what makes you happy. There are 80 pages. It fits nicely in your purse so that you can record your ideas no matter when they pop into your mind. 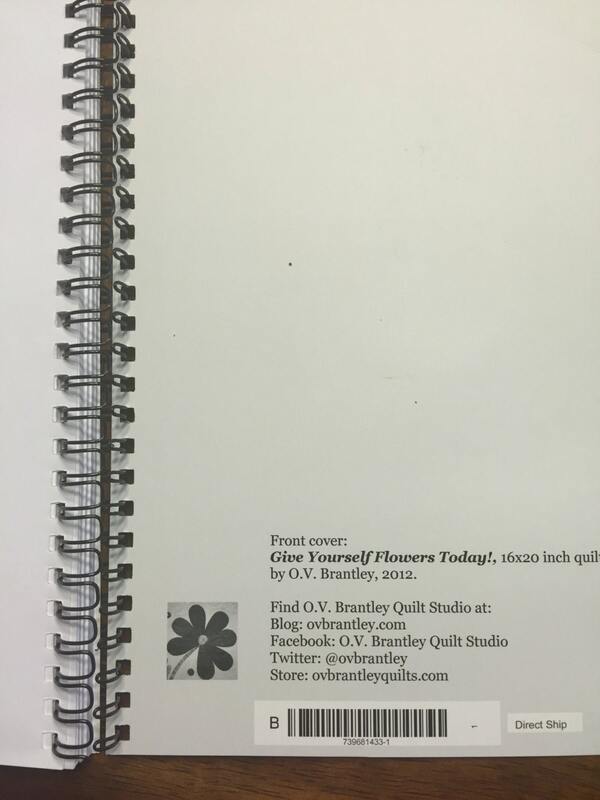 The front cover is a picture of my quilt called "Give Yourself Flowers Today!" I quilted this quilt by hand and embellished it with buttons. 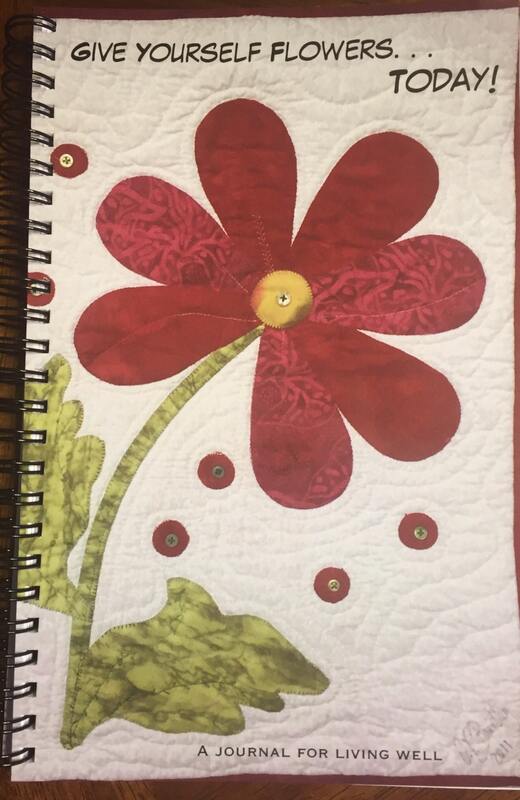 It is part of a series of quilts called Give Yourself Flowers. 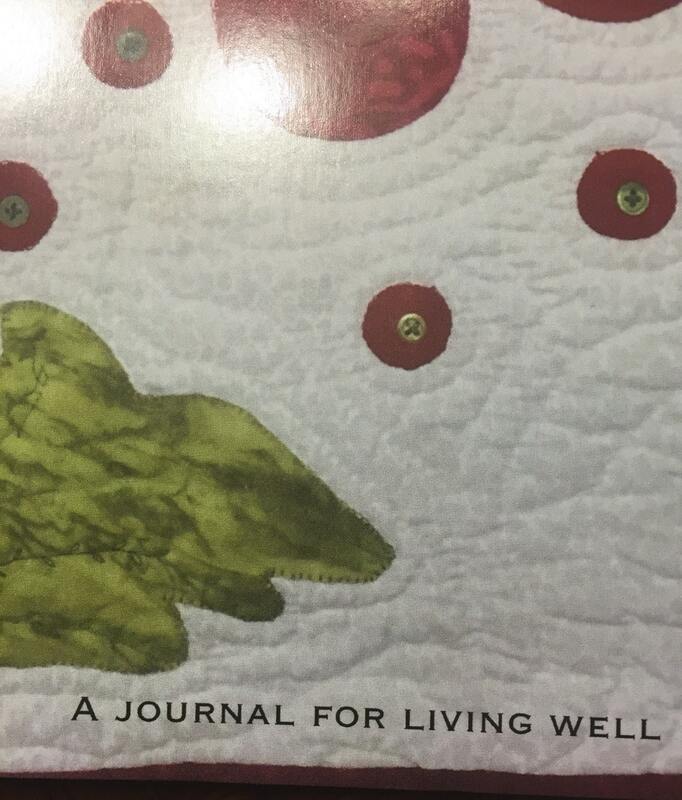 The slogan on the front says "A journal for living well." I hope this journal will help you live a life of abundance.